We’re not far from the beginning of the Christmas festivities (we’re guessing you’ve probably been thinking about putting up your Christmas decorations in the next week or two). And at the moment, all we’re thinking about is indulgence. We want to enjoy the last month of the year. Not waste it. And how will we enjoy ourselves? We’ll eat mince pies, toast with Prosecco, sip mulled wine, share chats over coffee and christmas cake and, of course, tuck into endless Christmas turkey dinners. Here at Bowood, we’ve already got the Champagne-on-tap for various Christmas events (don’t worry, not literally!). Challenge: Tuck into at least one roast dinner a week leading up to Christmas? Answer: Child’s play. Bring it on. And when we’ve got so many social occasions to attend. Why not? Christmas is our favourite time of year! It’s time to dig out our favourite glittery dresses and black tie attire, roll our sleeves up and enjoy our favourite alcoholic beverages. One too many? Not to worry. It’s Christmas! It’s true, we can drink all we like, with the peak/pinnacle/top of the chart being New Year’s Eve. However, as soon as we reach New Year’s Day, reaching for the paracetamol and orange juice, wiping leftover mascara from our eyes and wondering how we made it home last night. That’s when we start to make our (dreaded) New Year’s resolutions. 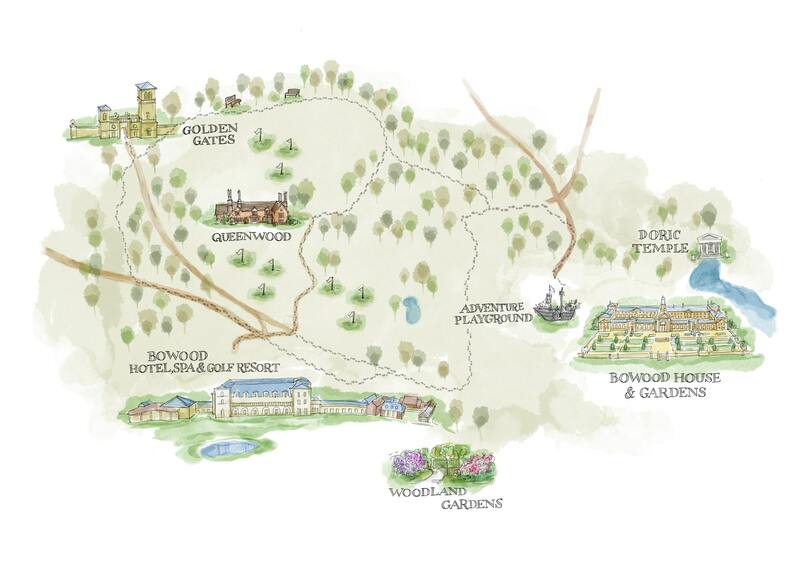 Not at Bowood Hotel though, we’re thinking about New Year’s resolutions already. We want to actually achieve our goals this year and not write them off after a couple of months attempting them. So while we’re all up for letting loose over the festive period, let’s put forward some New Year’s resolutions that we’d all like to achieve. And how to really stick to them. The first error often made when setting New Year’s resolutions is to list them all in your head (without taking pen to paper) and then not exploring how you are going to achieve them. A New Year’s Resolution bound to fail: I don’t really like the gym, but I am going to sign up and go there to exercise for at least an hour everyday before or after work. How to make this achievable: Firstly, pinpoint exercise/activities you actually enjoy. If it’s the gym, great! But if not, perhaps it is netball, walking, running, swimming, yoga, etc. Once you’ve decided on the activity you enjoy, aim to participate in the exercise once a week. When you’ve started to become more active, you’re more likely to want to increase the activity you’re doing. You can’t just suddenly expect yourself to bounce out of bed every morning at 6am to squeeze in your morning workout, when usually in the morning you take 10 minutes over pouring your morning coffee. If you’d prefer a couple hours walking out in the fresh air over a 45-minute sweaty workout in the gym, then go with your preference. You are much more likely to repeat exercise you enjoy! And if you are much more energetic at 5pm than 5am, make evening exercise your thing. A New Year’s resolution bound to fail: I am going to follow a strict diet for the whole of January. No guilty indulgences. I will have juice for breakfast and a dinner with no carbohydrates. How to make this achievable: Honestly, it is surprising how many people actually make the resolution above. To the initial eye, it seems absurd. No carbohydrates for dinner? That’s not healthy. Juice for breakfast? What about when we’re hungry at 10am? Losing weight and eating healthily actually go hand-in-hand. In order to achieve a healthier diet and shed a few pounds at the same time, it is best to follow a healthy, balanced diet. When it comes to it, a few ‘treats’ a month won’t hurt. To succeed? Decide a date when you would like to lose weight by, for example, ‘my best friend’s wedding’ and follow a healthy, balanced diet until then, monitoring your weight as you go. That way, you’ll see if you need to be tweaking eating habits as you go. See, you don’t need to get on the fad diet bandwagon and become vegan, gluten-free, dairy-free, no carb, paleo etc. to be healthy. Follow the Eatwell Plate and you’ll, well, um…be eating well. A New Year’s resolution bound to fail: I have always wanted to learn to play piano. I think I’ll have a go this year. How to make this achievable: I will enrol in some weekly piano lessons and practice playing the piano in two hours of my free time a week. A New Year’s resolution bound to fail: I will talk to my family and friends more often. How to make this achievable: I will make sure I call my parents every Saturday whilst I am cooking dinner. I will phone my friend on the last Sunday of every month to arrange a ‘coffee and a catch-up’ for the following month. A New Year’s resolution bound to fail: I will consume less units of alcohol each week. How to make this achievable: I will limit myself to four units of alcohol each week. I will spread these units across a Friday and Saturday night. I will not drink alcohol on a weeknight unless it is a special occasion. And the best way to make sure you are ready to achieve your New Year’s resolutions? 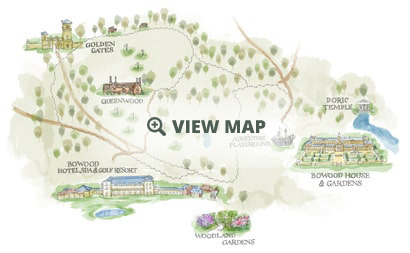 A New Year’s Party at Bowood – the final let loose before the resolutions begin.